Crave a fast, healthy breakfast that tastes like dessert? 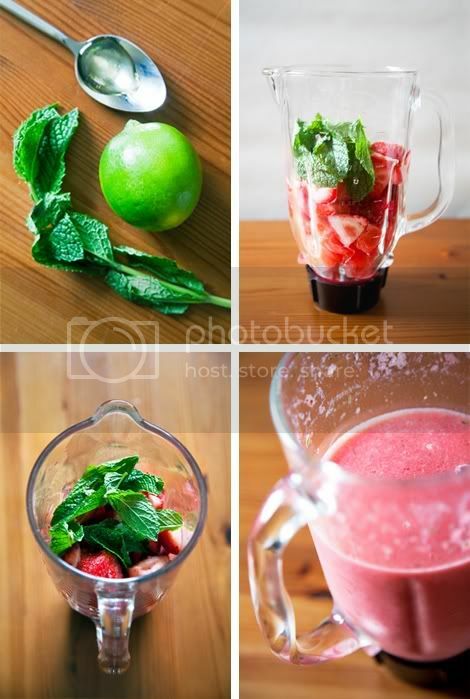 Nothing beats this sweet smoothie made with fresh fruit, ice, lime juice, a little agave nectar and some fresh mint leaves. 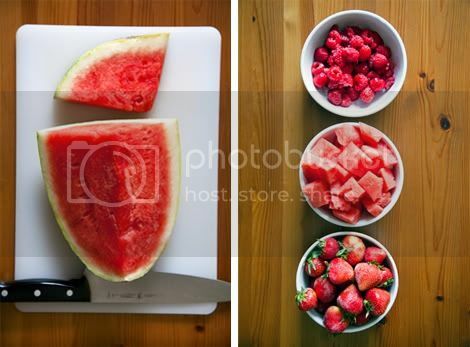 The watermelon-berry combo pairs together beautifully but you can use any fruit combination you choose (kiwi-honeydew or pineapple-mango are wonderful alternate options). 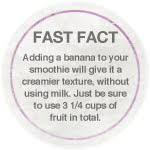 To prepare: Combine all ingredients in a blender and process until smooth. 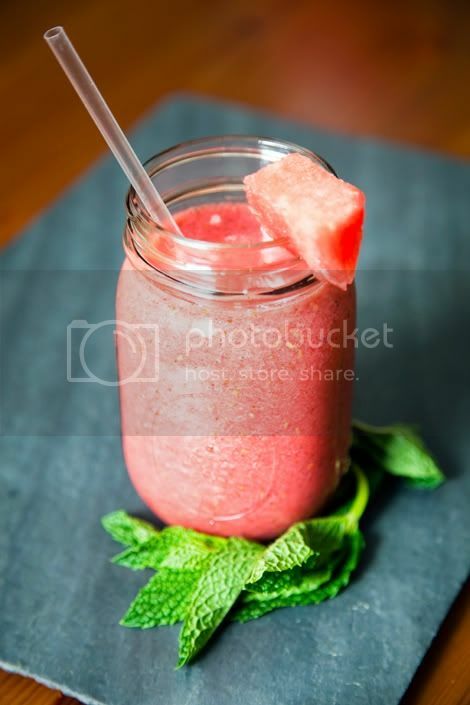 Divide smoothie between two glasses, garnish with a cube of fresh watermelon, and serve.